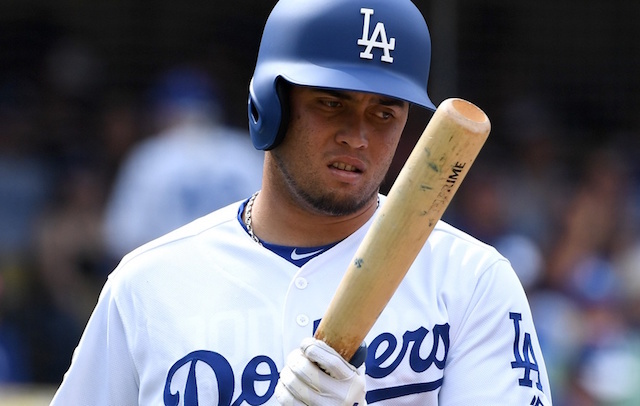 Following an impressive 2017 campaign with Triple-Oklahoma City in which he was named Pacific Coast League Pitcher of the Year, the Los Angeles Dodgers included journeyman Wilmer Font on their 2018 Opening Day roster. The right-hander struggled in Spring Training, but still earned a spot in the Dodgers’ bullpen to begin the year due in part to him being out of Minor League options. Font’s woes carried over into April, when he pitched to an 11.32 ERA in 10.1 innings over six appearances. 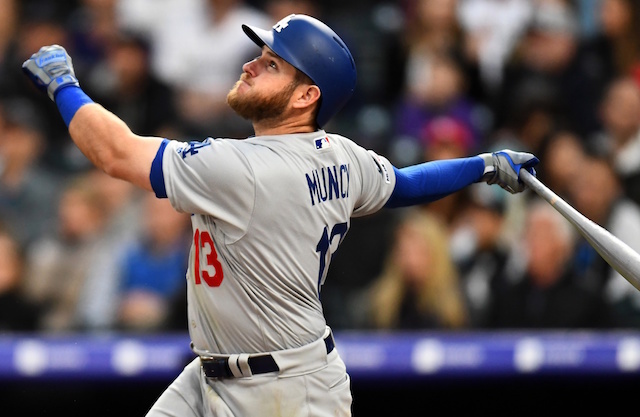 The Dodgers saw enough and designated him for assignment later that month before eventually trading him to the Oakland Athletics for Logan Salow. The 28-year-old’s stay with Oakland was short-lived as well. In the wake of further struggles, he lasted all of four games with Oakland before being traded to the Tampa Bay Rays at the end of May. Given a longer leash by the Rays, Font immediately turned his season around in a swingman role. Over nine games (five starts), he posted a minuscule 1.67 ERA and 0.96 WHIP with 20 strikeouts against 11 walks across 27 innings pitched. Unfortunately for Font, his season was cut short after suffering a right lat strain at the end of June. He was placed on the 60-day disabled list and never made it back to the mound despite optimism that he would return when rosters expanded in September. 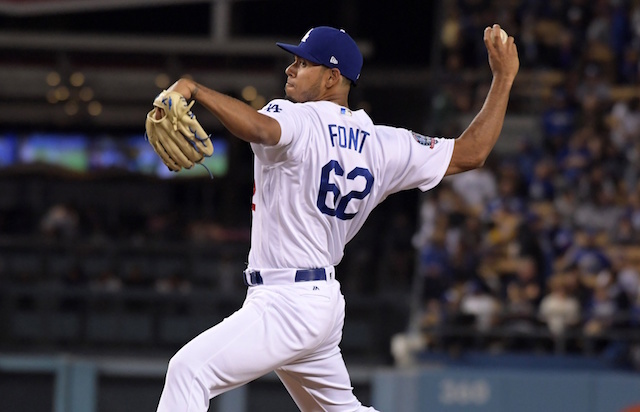 In what turned out to be his final start of the season on June 27, Font enjoyed his finest outing against the Houston Astros. Over five innings of work, he yielded only one hit and one run in a 3-2 victory — earning his second win of the year. Font is pre-arbitration eligible this offseason and remains under team control of the Rays through 2024. He will continue rehabbing this winter and presumably be in the mix for a spot in the club’s bullpen for the 2019 season.